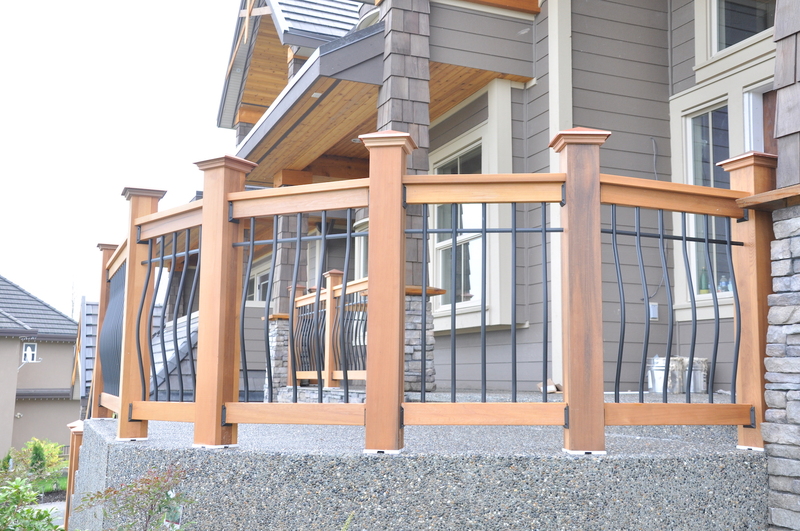 Our Tuscany style Deck Railing Kit features beautifully curved balusters with a horizontal accent bar. An all-in-one boxed kit with factory precision pre-drilled rails that speeds up and simplifies the assembly process. Engineered to National Building Code for guardrails. 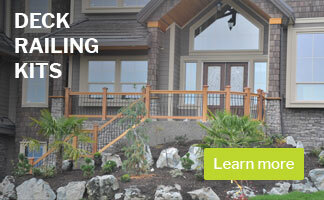 Balusters: Premium powder-coated and beautifully curved, round balusters. 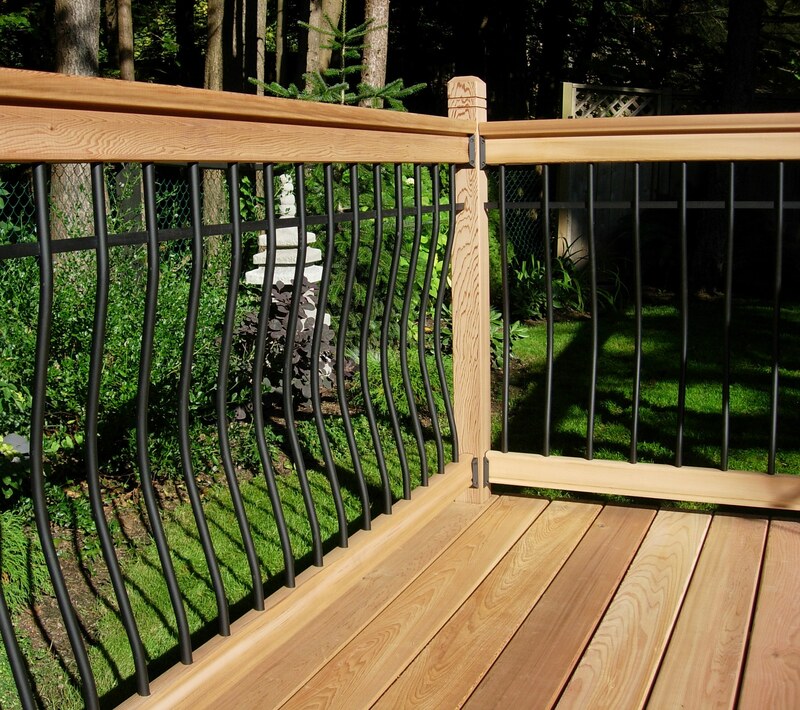 Our balusters are cut to length then powder-coated to ensure the ends are fully coated and sealed. 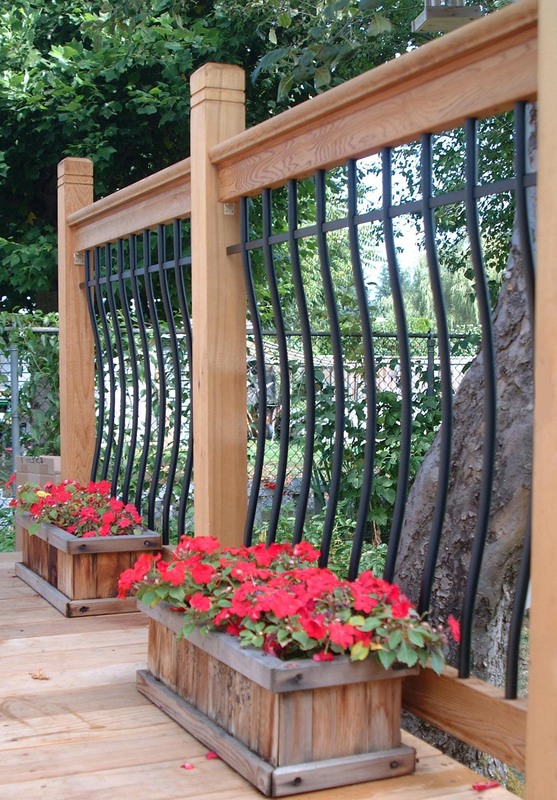 Rail Hangers: Engineered for simple assembly and to meet National Building Code for guardrails. Our saddle design fits perfectly over the ends of our profiled rails! NOTE: Did you know that Tuscany Stair Kits also available? Tuscany Stair Kits are designed for use on exterior stair application and feature all of the same style and simplicity of the deck kit. Designed for the 35-degree stair angle. Quick and easy!Factory precision pre-drilled rails speed and simplify the assembly process. Has a professional engineer stamp to show it meets or exceeds National Building Code for guardrails. 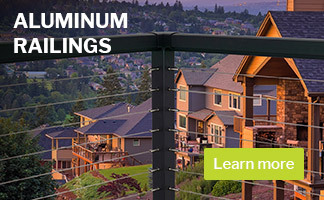 Slow and complexAlternative screw on, face mount balusters are not only flat and two dimensional, they also require time-consuming measuring and layout to ensure even spacing of balusters while also ensuring the same spacing meets building code requirements. Cost-effective!Precision factory pre-drilled baluster holes speeds up the installation and assembly process. 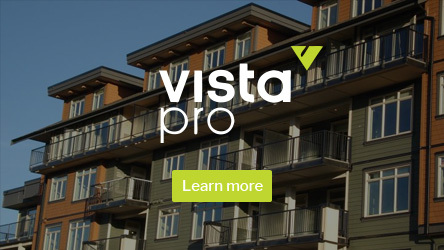 CostlyRequires time-consuming measuring and layout to ensure even spacing of balusters while also ensuring the same spacing meets building code requirements. 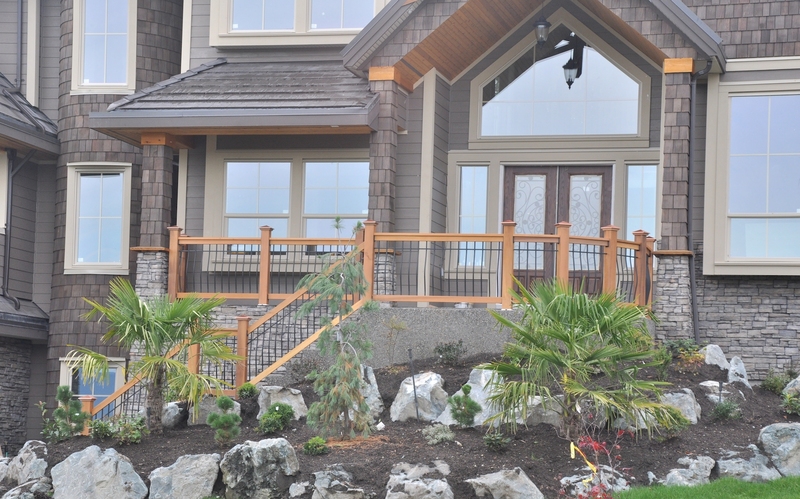 Low Maintenance!Powder-coated balusters never need painting or staining and they never rot, twist or split. High MaintenanceRequire regular painting or staining to prevent rot, twist or split. Endless time spent bending down trying to paint all sides of the wood balusters.